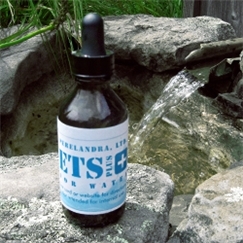 ETS for Water - Perelandra Ltd.
ETS for Water offers all-purpose repair and balancing. It also addresses climate change impact and damage. Because the Solution addresses a complex environmental mosaic, it must be tested along with the other Solutions in your Co-Creative Gardener's Kit or in PIC. Machaelle strongly recommends that ETS for Water and ETS for Atmosphere be included when testing the processes in The Perelandra Garden Workbook. These Solutions are now part of the ETS Garden Collection and The Co-Creative Gardener's Kit because they are integral to the Workbook processes. You will appreciate what they add to your environmental balancing. Let's head into the Workbook Classroom . . . This is where your Garden Workbook really begins to feel like a WORKBOOK! We'll wait here while you go and get your book, and a pen or pencil. Trust us, do it now, so when it comes time to work with the processes, you won't waste time searching for this information. Release each of Solution from its own clean glass bowl as described for any Nature Shift. 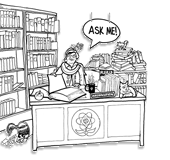 Is your Perelandra Garden Workbook an e-book? Save the PDF on your computer where your Workbook e-book is located. Then you will be able to flip to the information easily when you are working with your e-book. If you have a PDF reader program that allows for highlights or notes, you can add "ETS/Water" and "ETS/Atmosphere" as a note on each of the pages listed above. Alright class! You are now ready to expand your environmental balancing in great new ways! Please be sure to send us feedback as you work with ETS for Water and ETS for Atmosphere in your gardens, yards, ponds, forests and farms. Your feedback helps Machaelle with her research. REMINDER: ETS for Atmosphere and ETS for Water are for use by those who are working with The Perelandra Garden Workbook (2013 edition). These two Solutions can't be used on their own. If you are ready to include your environment in the work you are doing with nature and your health but you don't have the Workbook yet, start here. This Solution was created by Machaelle and nature from a combination of electrical infusions from different plants, minerals, natural gases and elements found in the sea, atmosphere and on land. It contains water, a specific electrical pattern and a preservative (brandy or distilled white vinegar). Should the dropper touch your hand or anything else (outside the bottle! ), wash the dropper well before placing it back in the bottle.